I have found one of the most difficult things to do as a graduate student is to learn when to say “no”. Once people recognize that you are talented and able to get things done you will almost certainly start getting more offers for work or requests for favors. Saying “yes” to service in university governance, research assistantships, requests to edit papers, co-author a paper or present at a conference, or doing paid contract research as a consultant can all be useful in building your CV or resume and demonstrating you have a breadth of experience. Moreover, investing your time with these activities can allow you to build a diverse array of skills as well as relationships that will pay dividends in the future. Such work can also be necessary or useful in terms of career development within and outside academia. For example, if you are aiming toward a tenure track job and are not working on authoring papers while also meeting PhD program requirements you will likely never be a viable candidate for a professorship. Similarly, outside of the tenure track employers want people who have demonstrated communication, leadership, and problem solving skills, so doing committee work or taking on a paid contract can go a long way in showing you have experience and potential to contribute to a non-academic organization. The problem is that you can easily get into a routine of saying “yes” and lose sight of the practical importance of such opportunities and achieving timely completion of your graduate program. If you find yourself feeling overwhelmed, struggling to meet deadlines, or locked in your home for days without taking time for yourself, friends, and family, you are likely in a situation where you not only need to start saying “no”, but possibly need to remove yourself from some of the commitments that you have made. No matter how effective you are at time management there will be a threshold beyond which your system, and your body/mind start to break. At the end of my master’s degree I realized I had gotten into a habit of saying “yes” to nearly everyone that approached me with an opportunity. I was not only concerned about being a viable candidate for awards, but discovered that I derived much personal satisfaction from engaging in service and helping others. When I started my PhD I realized I couldn’t maintain a balance so I literally said “no” to everything outside of my program requirements until I was certain I would be able to say “yes” appropriately. I am now near the end of my PhD program and have worked in a number of academic disciplinary departments and administrative units. I have witnessed what happens when people do not learn to say “no”: they become professors, managers, and employees that cannot say “no”. Their work suffers, their co-workers and colleagues suffer, and they suffer. 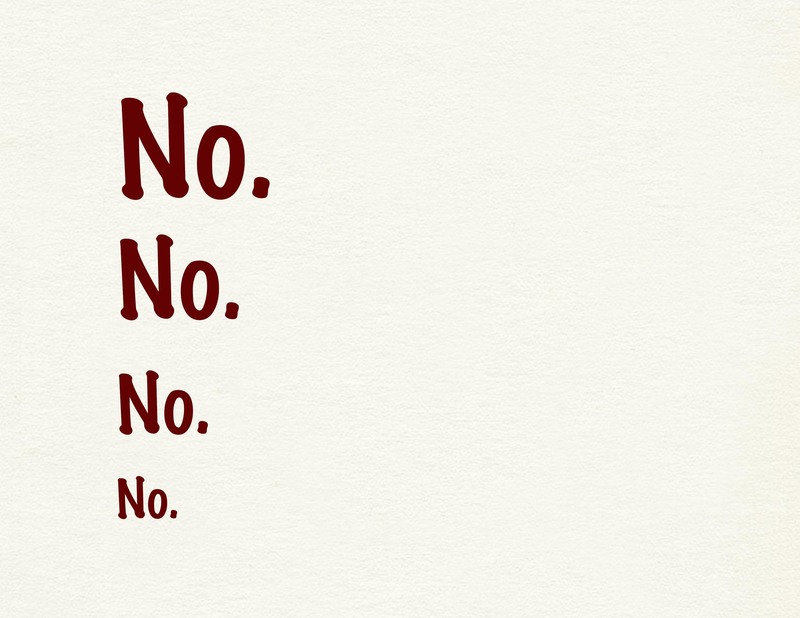 Evaluating when to say “no” is complicated. It requires an assessment of deadlines for your program, future opportunities that will derive from the one you are presented with, the degree to which the opportunity contributes to your academic and career objectives, your current and future financial situation (I often said yes to anything that paid money so that I could bank it for when scholarships ran dry. I had lived in poverty/debt before and didn’t want to do it again), and personal commitments to your spouse or partner. One thing is certain when it comes to saying “no”, you will do it in the face of much uncertainty. Yet saying “no” is an important aspect of your professional development you will likely not regret exercising and will allow you to maintain a comfortable balance—or at least a manageable one, sometimes deadlines cohere on the same point in time and there is not much you can do about it—and enjoy a successful career in grad school and beyond. This entry was posted on July 23, 2015 by KHAD.